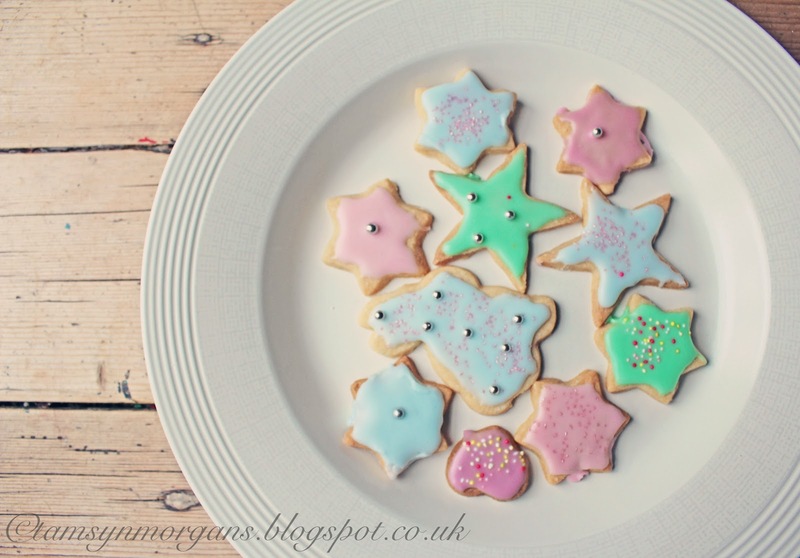 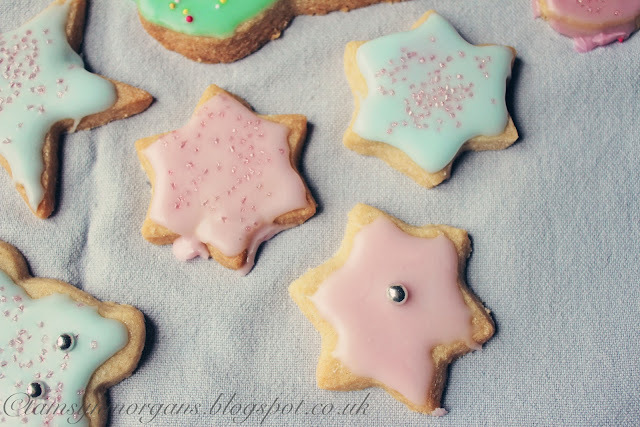 The children were on half term last week, so out came the cookie cutters and edible glitter. 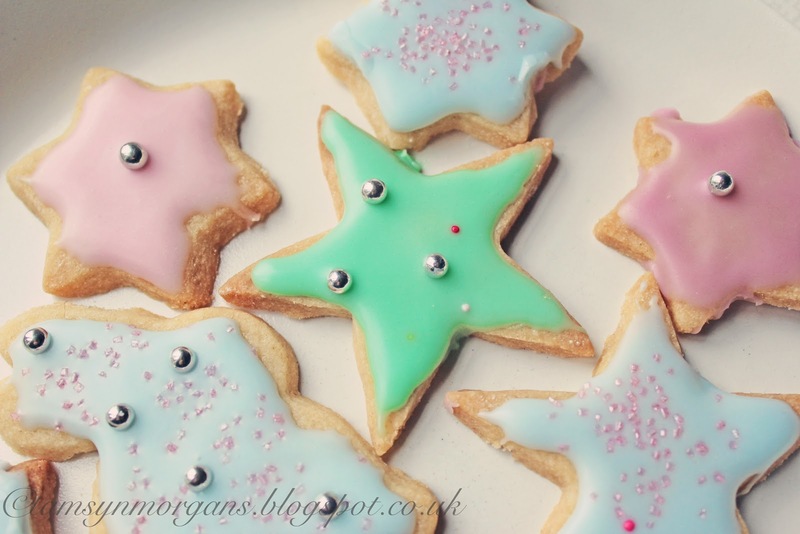 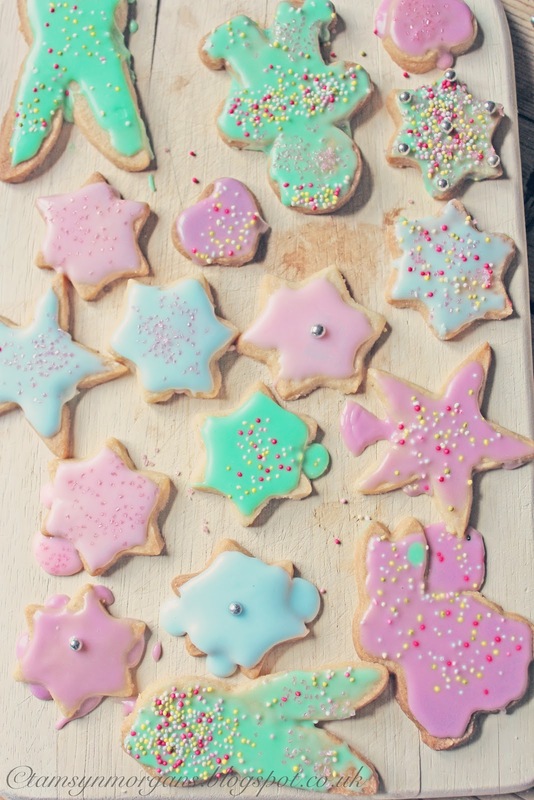 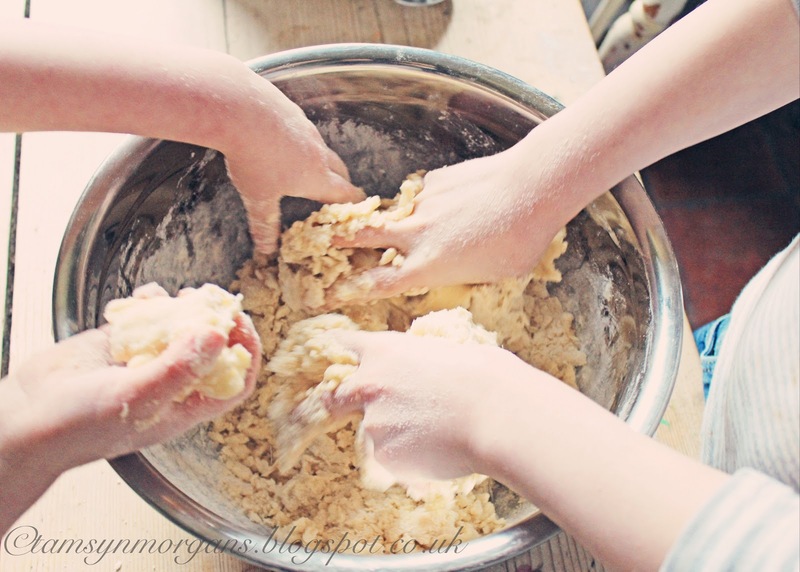 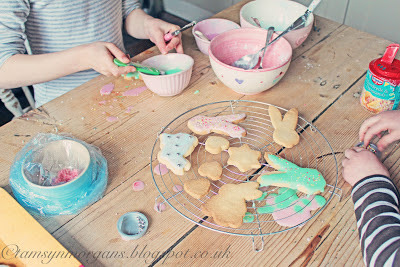 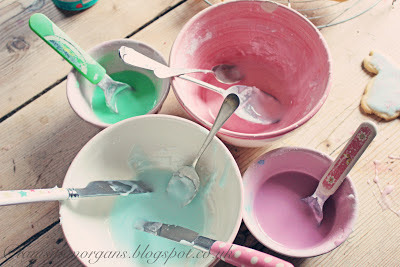 I let them loose with sugar sprinkles and the icing that we made in pastel shades. 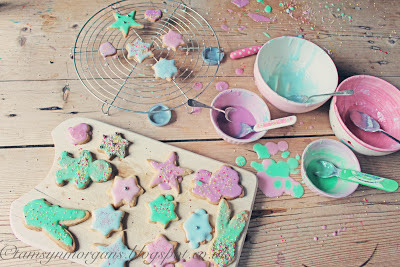 Even the mess they made was pretty! They tasted pretty good too, with a lovely cup of tea.